The paper discusses the ancient Greek concepts of humor interpreted in the perspective of logos, as well as the inspirations of these philosophical ideas of antiquity for contemporary humor studies. Generally speaking, humor can be considered as a charming, yet paradoxical counterpart of logos, supplementing the one-sidedness of strictly discursive cognitive approach and allowing for the perception of phenomena in multifarious and contradictory planes of reference. Such seem to be the intimations of leading Greek philosophers. Thus, the philosophical humor may be presented as having its roots in the universal logos and alluding to it in an à rebours manner. The concepts of humor and laughter formulated by Democritus, Socrates, Plato, Aristotle and Diogenes have been reviewed using contemporary interpretation measures. 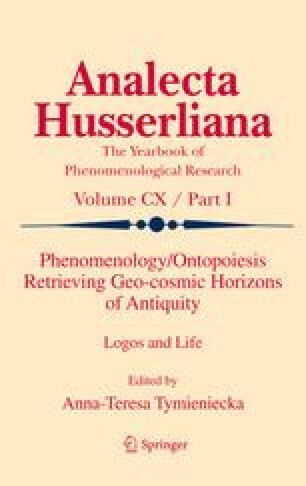 In this respect, among others, Anna-Teresa Tymieniecka’s concept of ontopoiesis of life with its logos-source and the resulting innumerable perspectives turns to be a useful tool of analyzing the abundance and individuation character inherent in humor, as revealed already in classical systems and reflections. Her notion of the ontopoiesis of life allows for intimating the phenomenon in terms of creativity and insight.